Our Ref 34L: * Approximately 150 acres - gently undulating grazing country with beautiful sheltered valleys. 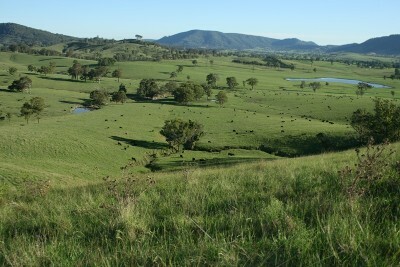 * Improved pastures including a variety of clovers, rye, kikuyu and natural grasses - excellent cattle or horse country. * Superb location - 5km to East Gresford, 29km to Maitland, and under 2.5 hours to Sydney. * Ample water from stock dams and springing gullies. * Beautiful homesites with extended rural views - power on site and phone readily available.